Hello again, crafters! 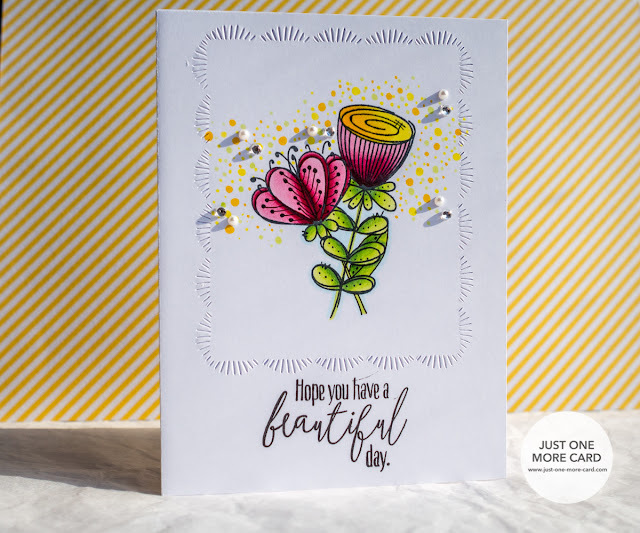 Today I have a clean and simple card for you featuring two of my favorite new products: Doodle Buds stamps by Wplus9 and a new die set by Avery Elle. I wanted to create a one layer card, but one that would have a really huge impact. That's why I decided to go with very intense colors. As you can see, I've also enhanced the flowers and some of the leafs by adding accents with my black Copic liner. 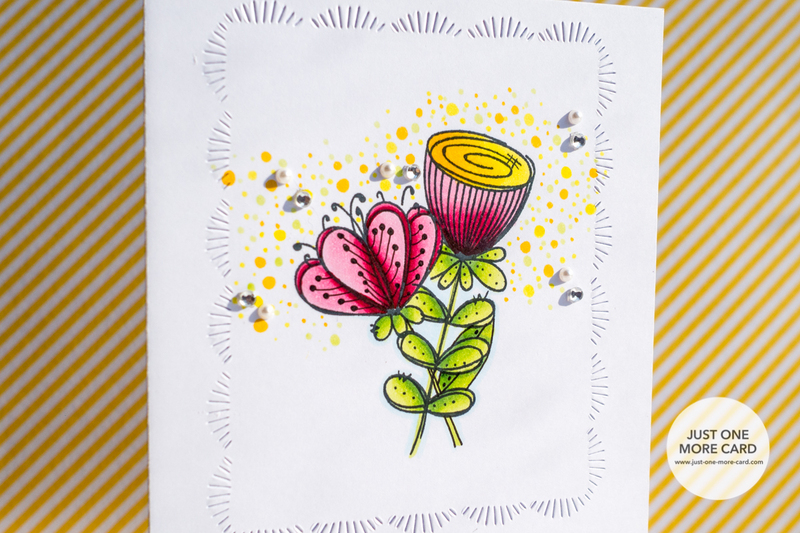 For additional interest, I used my Copic markers to also add some dots around the flowers. The die by Avery Elle is framing the arrangement perfectly. As always, I was using Copic friendly card stock but it bled through to the inside. This was fixed easily by adhering a piece of card stock to the inside of the front panel. That makes it look very clean inside and on the outside it still appears to be a one layer card.